Farmers State Bank is a steward of individuals’ finances and financial goals. 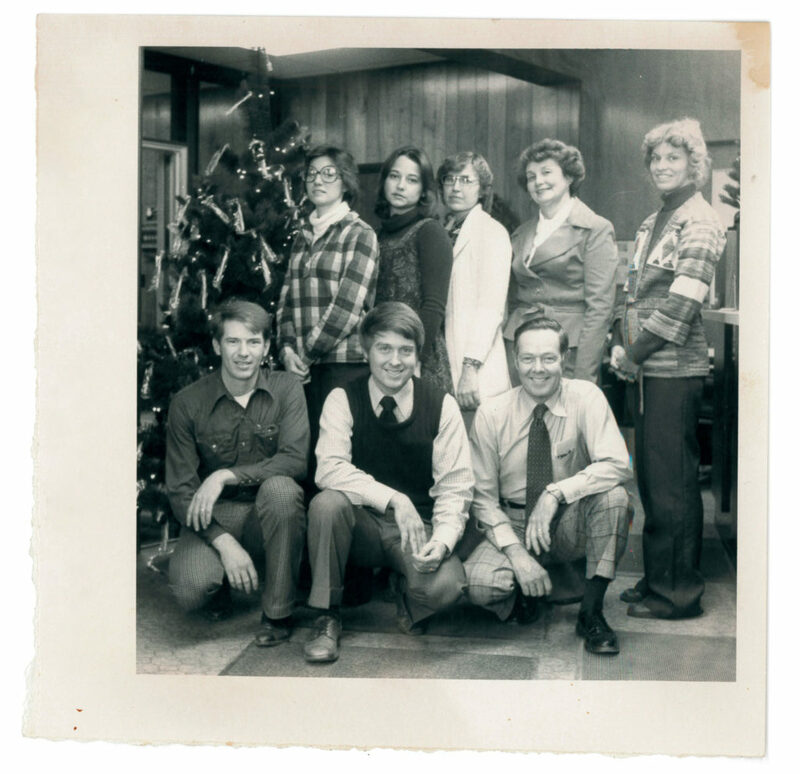 Founded in 1898 in Westmoreland, Kansas, we expanded to Manhattan in 2002, and Onaga in 2014. Farmers State Bank provides a variety of personal and business services including checking, savings, and IRA accounts as well as consumer, agriculture, real estate, and business lending. 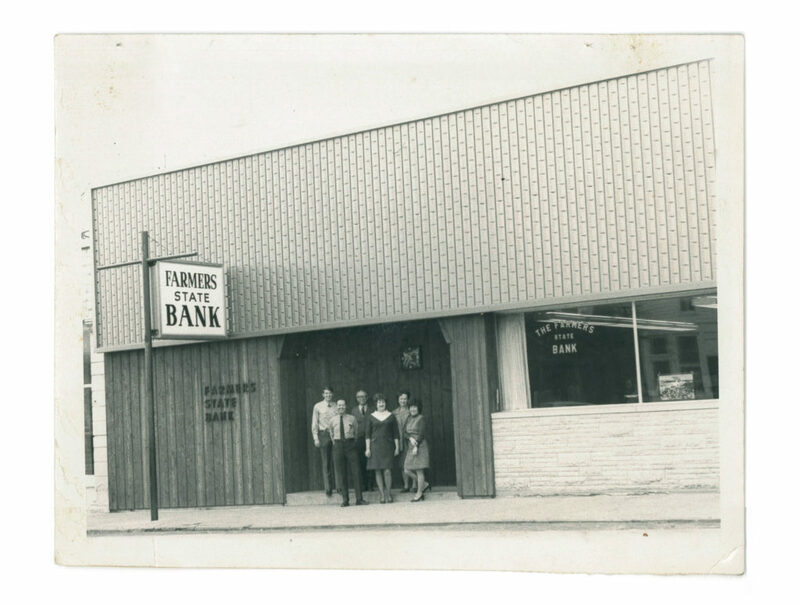 Farmers State Bank is a full-service bank with over 100 years of community banking service. We have a reputation for being a friendly and efficient full-service bank. We opened April 9, 1898, with a capital stock of $20,000. Chas Zabel was the president at that time and J. F. O’Daniel, who became president in 1908, was the first person to make a deposit with the bank. The Bank has experienced only one robbery, which took place on March 23, 1923. The thieves made off with about $7,200 in cash and bonds. During the 1930s, Farmers State Bank was among the many banks experiencing difficult times during the depression. 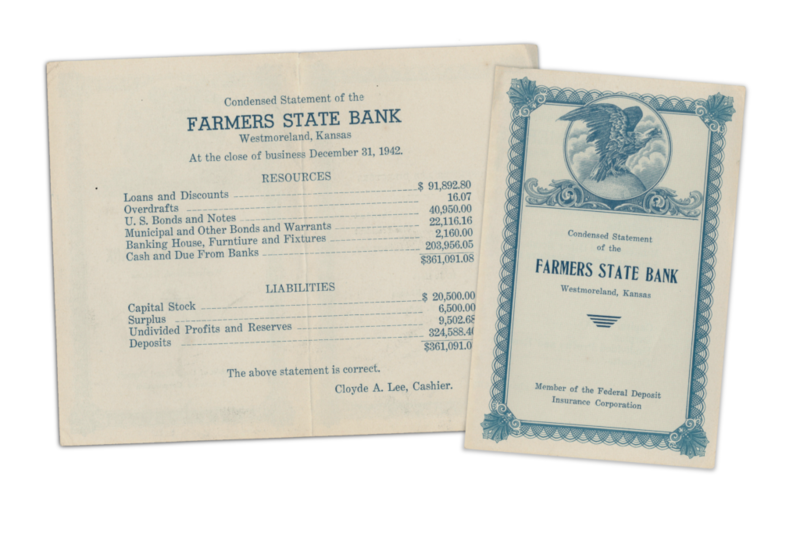 On June 6, 1935, Farmers State Bank borrowed $12,500 from the Reconstruction Finance Corporation, a branch of the United States Government, to shore up its Capital and Reserves which had been reduced due to problem loans. In lieu of that $12,500 loan, Reconstruction Finance Corporation was issued 200 shares of Farmers State Bank’s preferred stock. This loan was eventually paid back to the government in the mid-’40s. Many changes have been made since the mid-1950s to better improve our services. The bank started offering savings accounts on April 7, 1959. Ten years later, in 1969, the bank bought the old post office building. It was located next to the present building. This expansion allowed for more office space. In 1979, the data-processing room and drive-thru were built. During that same year, Farmers State Bank upgraded to computer processing. The ’90s brought many changes to FSB. An addition was built in 1994 which included the new director’s room, employee break room, and garage. The bank’s Automatic Teller Machine was installed at BB’s Handikorner “currently DD’s Handikorner”, located in Westmoreland, in 1996. Then in 1998 more remodeling was done to add additional office space. In January of 2002, we started using the Internet to better improve our services. This allowed our customers an opportunity to check out local events, inspect our current rates, e-mail employees personally, and perform most of their banking business online conveniently. 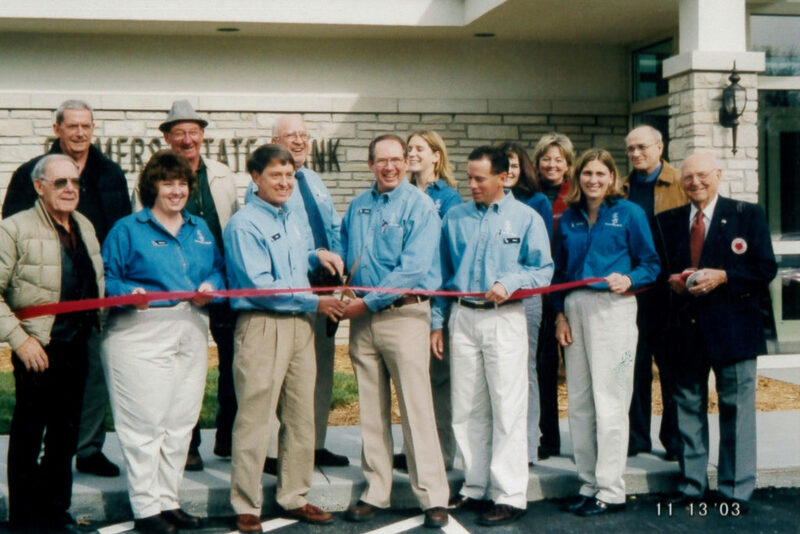 In November of 2003, we became more accessible to our customers who live and work in the Manhattan area by opening our first branch bank. In 2015, an addition was added to accommodate more loan officers and storage. It is located east of Manhattan at 8685 E Highway 24. In November of 2014, we became even more accessible to our customers by opening our second branch bank in Onaga; welcoming the opportunity to serve the Onaga community. In 2015, an extensive remodel took place to the historic building. This branch is located at 301 Leonard Street.